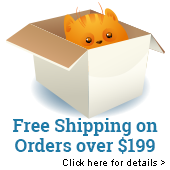 Let’s go, hop on, and jump in. 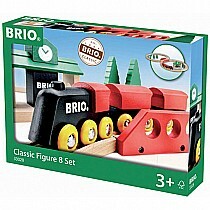 BRIO'S back and it’s time to catch the train because we are going to the woods today. 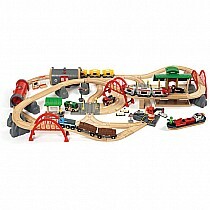 There is plenty to do in the forest with lots of loads to load and logs to log. 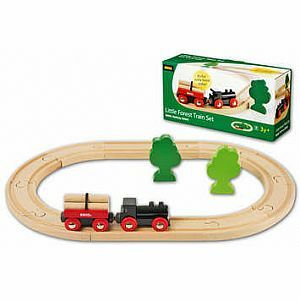 Or if you rather just drive around the trees for fun you can do that too! 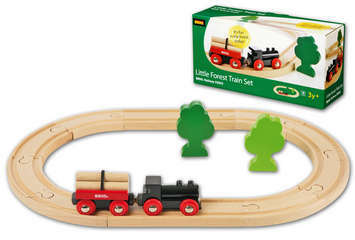 Little Forest Train Set is a perfect introduction to the wonderful world of BRIO wooden trains. 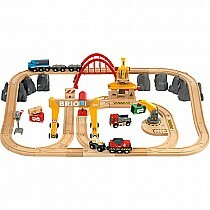 A classic starter set for the 2 year old child, it's 18 pieces include an engine and log car, 2 trees, and enough track to make a 16" x 10" oval. 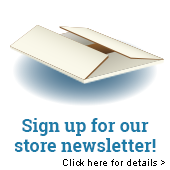 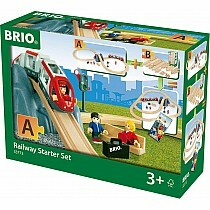 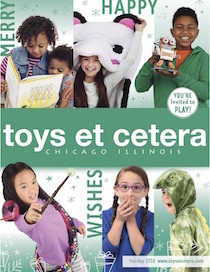 By BRIO for ages 2-5 yrs.